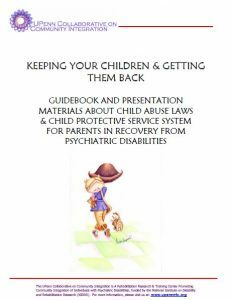 Two sets of materials: the first focuses on the need to revise state legislations restricting the custody rights of parents with mental illnesses; the second outlines both online and telephone strategies to support the parenting skills of mothers and fathers with mental health conditions. Leisure participation is important for the development of healthy family relationships. 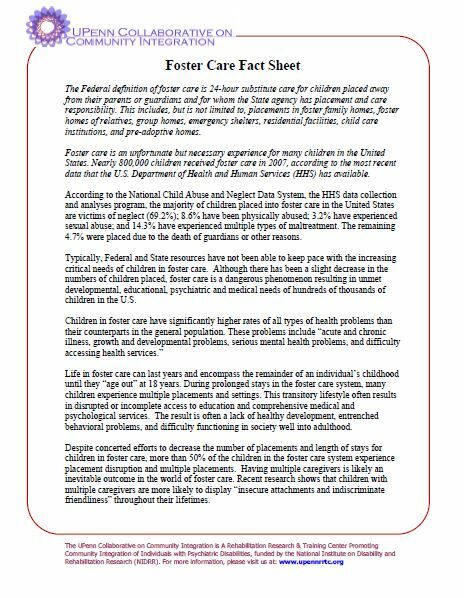 This toolkit is an evidence-based guide that will help parents better understand the importance of family leisure and develop strategies to participate in meaningful family leisure. 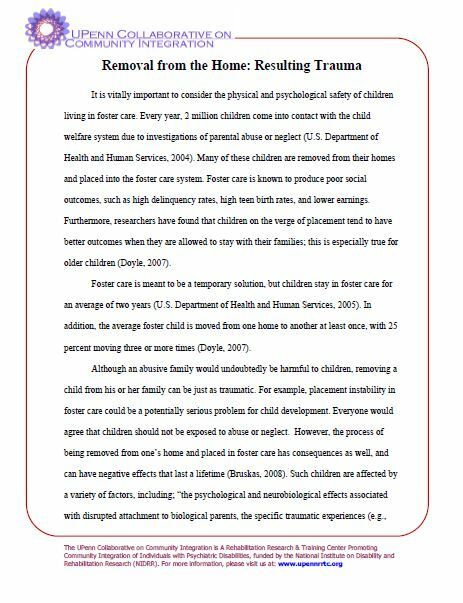 Research on the need for family leisure, potential benefits, and strategies to increase participation are presented. This user friendly guide provides worksheets and activities that parents can use with their children to make the most out of family leisure. 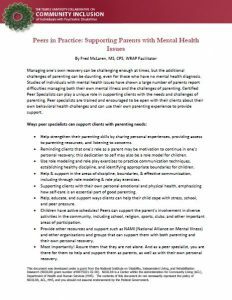 For individuals who want to receive additional support, each section also provides an opportunity to summarize goals and issues that can be shared with a mental health professional. 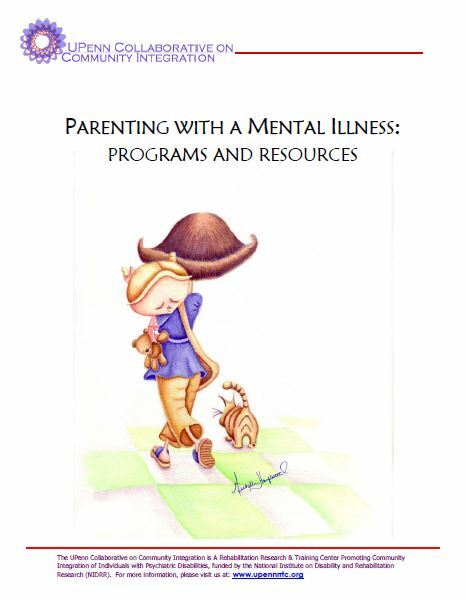 Download now to learn more about: (1) the benefits of family leisure; (2) core and balance family leisure; (3) strategies to assess family leisure interest; (4) barriers to and facilitators of family leisure; (5) planning and making time for family leisure; and (6) using leisure to talk with your kids about mental illnesses. 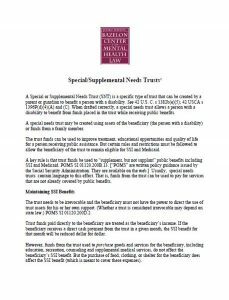 This worksheet provides a template for services to generate a list of local resources for parents with psychiatric disabilities, including legal, housing, emergency respite services, and childcare, etc. 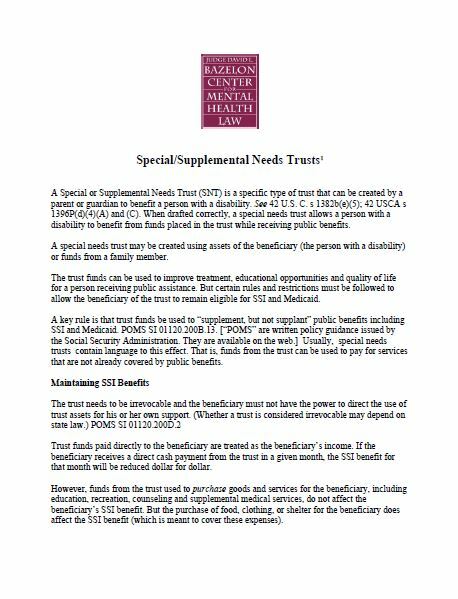 A Special Needs Trust can be created by a parent or guardian to benefit a person with a disability upon the death of a parent, allowing consumers to benefit from the trust while continuing to receive public benefits. 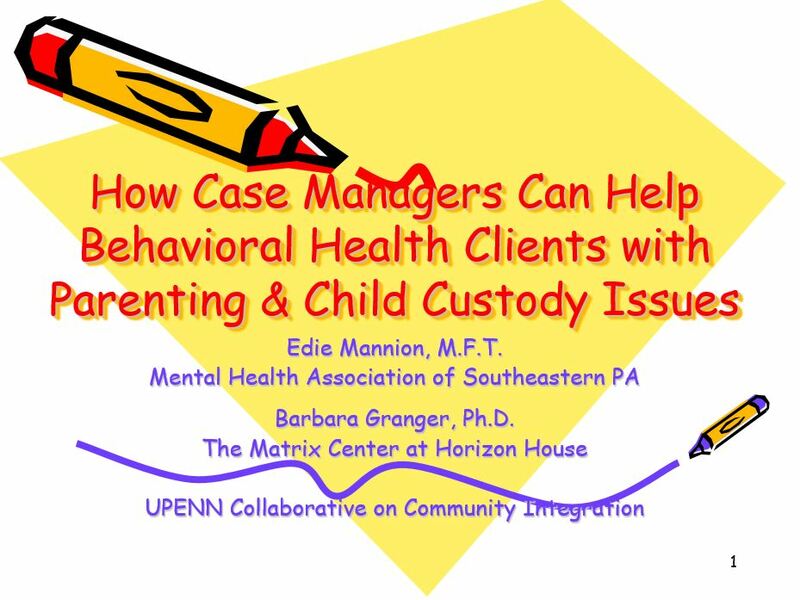 These materials were developed by the Bazelon Center for Mental Health Law with support from the Temple University Collaborative. 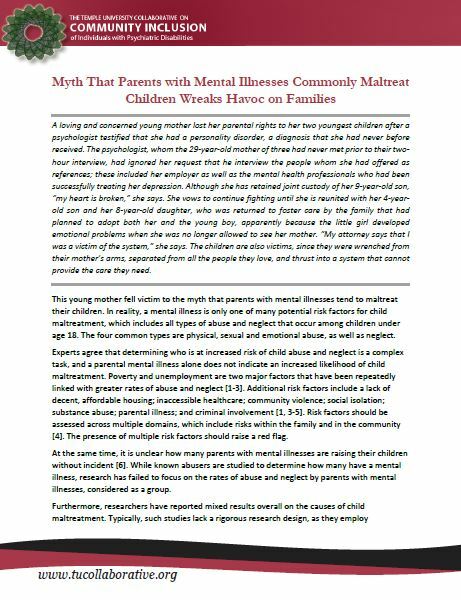 Parents who experience mental health conditions may have unique experiences and issues. 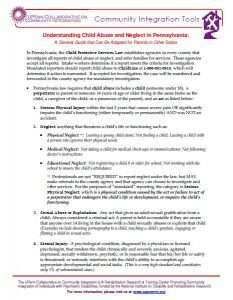 Based on our research, this single page document provides consumers, providers, policymakers, and other stakeholders with information about common barriers parents may face, supports that may be available, and how our parents might use resources from the Temple University Collaborative. 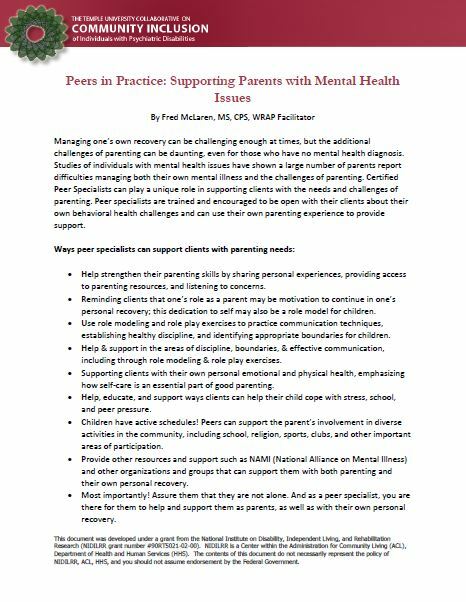 Our first Peers in Practice document, written by Fred McLaren, MS, CPS, looks at the challenges of parenting with a mental health condition and the role Peer Specialists can play in supporting their clients with the needs and challenges of parenting. 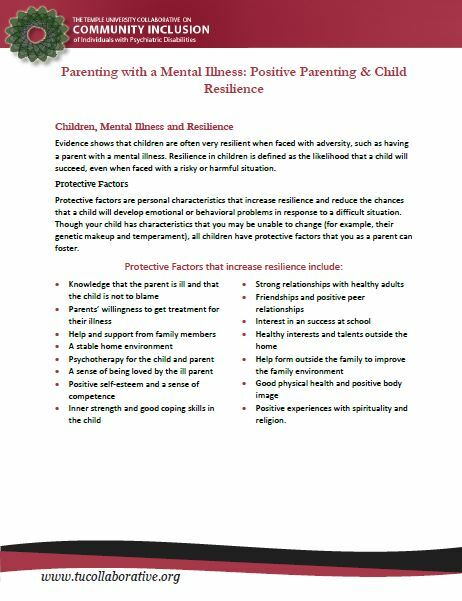 This fact sheet provides evidence-based guidance to parents with regard to effective ways to provide ‘positive parenting’ that can increase resiliency in children and also prevent custody loss. 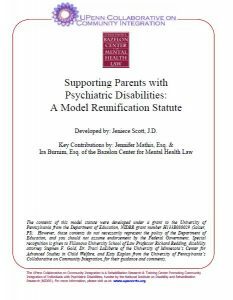 To help inform consumers, lawyers, mental health advocates, and legislators, the Temple University Collaborative and the Bazelon Center have created a model statute for state legislatures in developing more appropriate guidelines that encourage keeping families together rather than permitting the use of mental illnesses as grounds for denying custody rights to parents with disabilities. 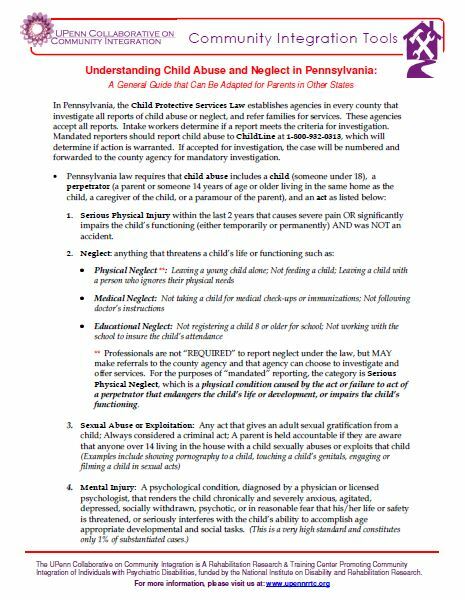 This brief fact sheet provides a national overview of child custody laws as they apply to the use of mental illnesses as grounds for denying custody to parents with psychiatric disabilities, as well as recommendations for challenging current discriminatory laws through education (of lawyers and judges), public awareness, and legislative change. 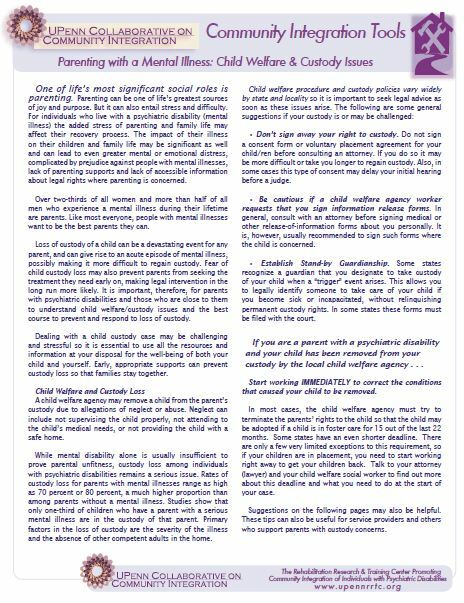 This fact sheet is designed for parents and their supporters, it provides tips for navigating the child welfare and legal systems. 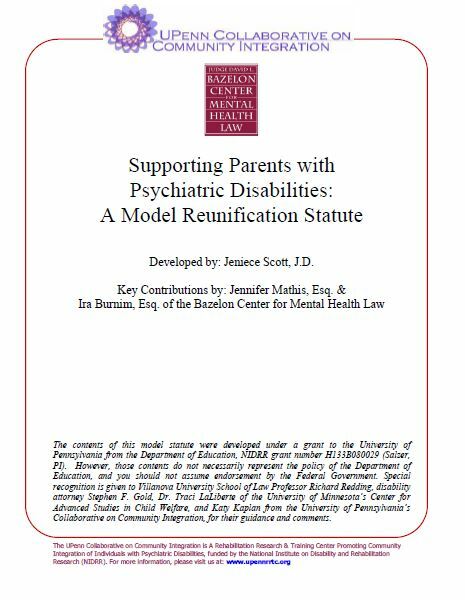 If the parents’ custody rights are challenged, it is an important document for parents with psychiatric disabilities in facing system discrimination. 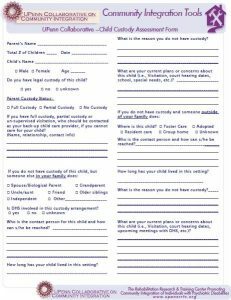 This worksheet allows mental health personnel to make a comprehensive assessment of particular parents’ child custody arrangement, which may be complicated, as an aide to working with parents to improve parenting skills and prevent loss of custody. 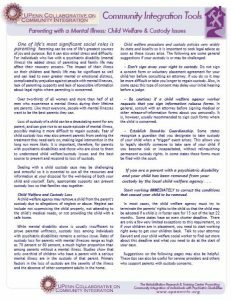 This brief fact sheet provides an overview of a national and state foster care services and the way in which foster care systems interact with children and parents when the parents have been denied custody of their own children due to mental illnesses. 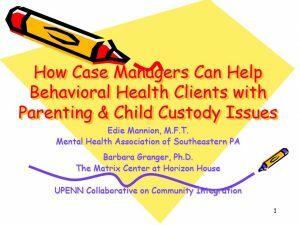 Suggestions are provided for parents and others interacting with foster care providers. 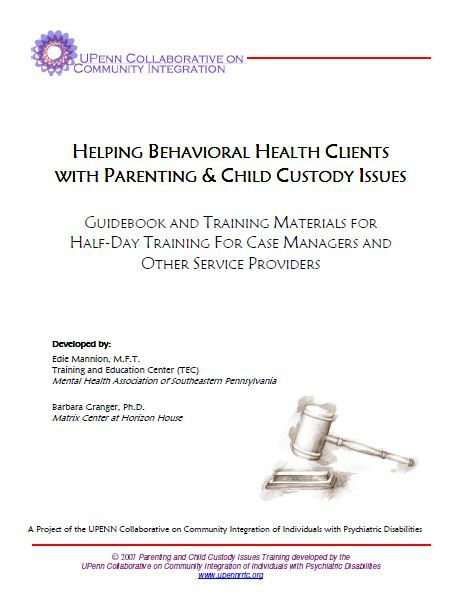 This in-depth manual provides a detailed guideline for trainers developing programs to assist consumers with psychiatric disabilities in improving their parenting skills, learning more about child custody issues, and either avoiding the loss of custody of their children or regaining custody of their children – with curriculum, PowerPoints, and exercises. 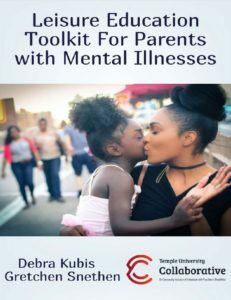 The Temple University Collaborative’s training program PowerPoint presentations and training notes provide a step-by-step guideline to initial training for mental health personnel working to help consumers with psychiatric disabilities improve their parenting and avoid the loss of custody of their children. 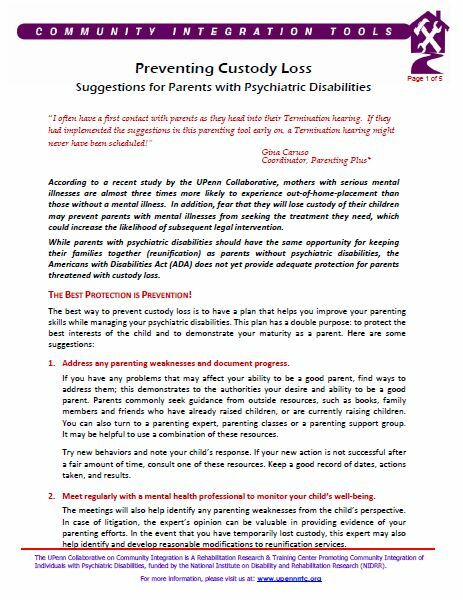 The Temple University Collaborative’s training program includes a number of large and small group exercises to assist staff in preparing to work with consumers with psychiatric disabilities who are parents: a number of the exercises are available here, to be used in conjunction with the overall training program and PowerPoint provided above. 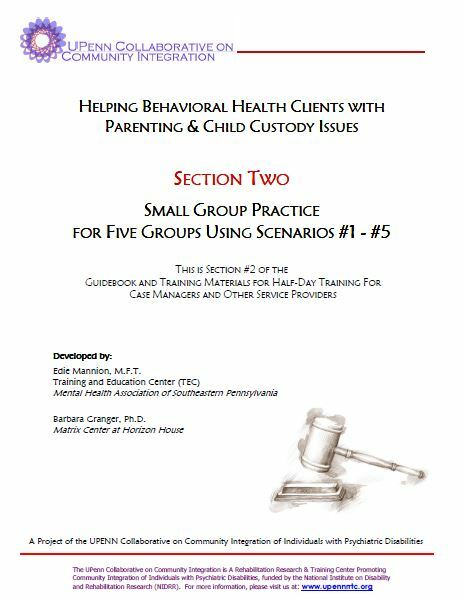 This trainers’ guide provides a comprehensive overview for training mental health personnel to assist consumers with psychiatric disabilities in learning more about child abuse laws and the child custody issues with which they must be aware – it was developed by consultants to the Temple University Collaborative. 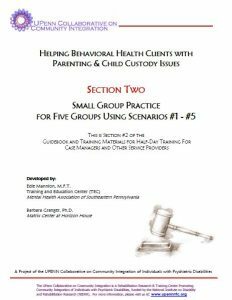 This addendum to Section I provides access to key handouts for the training program on Keeping Your Children and Getting Them Back, including handouts on: a) Child Welfare and Custody Issues, Positive Parenting and Child Resilience, A Parenting Resources Worksheet, and a listing of Additional Resources for Parents. 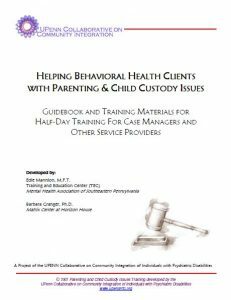 The best way to prevent custody loss is to have a plan that helps consumers improve their parenting skills while managing their disability: This brief tool provides suggestions on how to create a plan to protect the best interests of your child and to demonstrate your maturity as a parent. 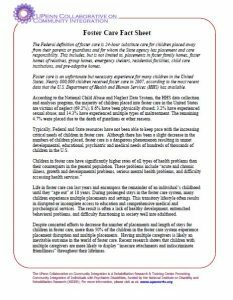 This brief fact sheet provides an overview of current research that explores the impact of removing children from the home, with an emphasis on the trauma experiences in those instances where children have been removed due to court determination that the parent is unable to care for their children due to mental illnesses. Developed by a leader in the field of families and couples dealing with mental illnesses and child custody issues, this is a key guide for parents who have lost custody or are facing the possibility of custody loss: it includes a detailed overview of what constitutes child abuse and neglect in Pennsylvania, as well as a discussion of parents’ rights with regard to custody and family reunification. 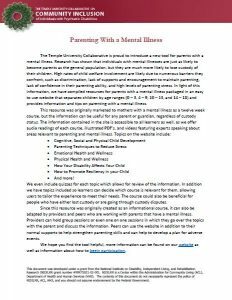 On January 21st, 2016 The Temple University Collaborative hosted a one hour long webinar focusing on Parenting with a Mental Illness. 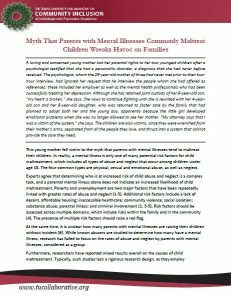 Various factors such as discrimination, lack of supports, and high levels of stress can all lead to complications as a parent with a mental illness. 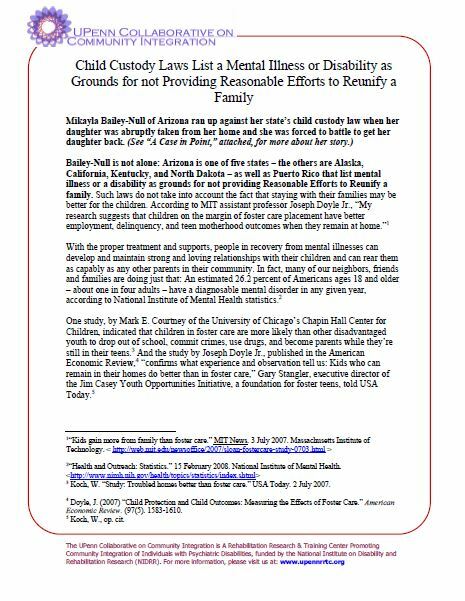 During the webinar we will discuss strategies parents can use, findings from our Parenting Internet Education study, and discuss our new Parenting Online Education resource, which will allow parents from all over to get information for children under the age of 18. 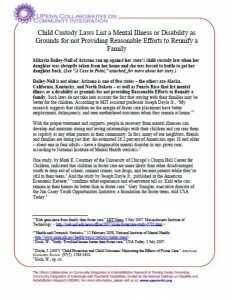 We are proud to announce the launch of our new Parenting Tool. 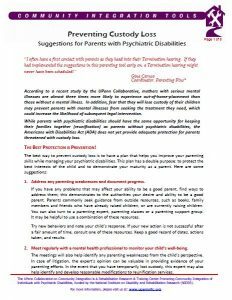 This website will allow parents with children ages birth-to-18 to get information and strategies for improving their parenting, and, in addition, will provide you with a great deal of information about parenting with a psychiatric disability through its age-specific educational curriculum. Each course offers visually appealing curriculum that will guide you over a specific topic related to parenting. 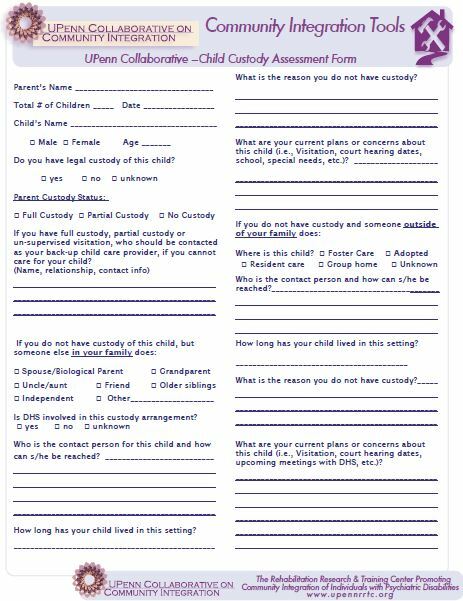 Complete the registration form. This will ask you to provide your name, an email address, asks which category best describes you, and asks why you’re accessing the site.